Earlier this year, one of the more special places in my life received long overdue national recognition. 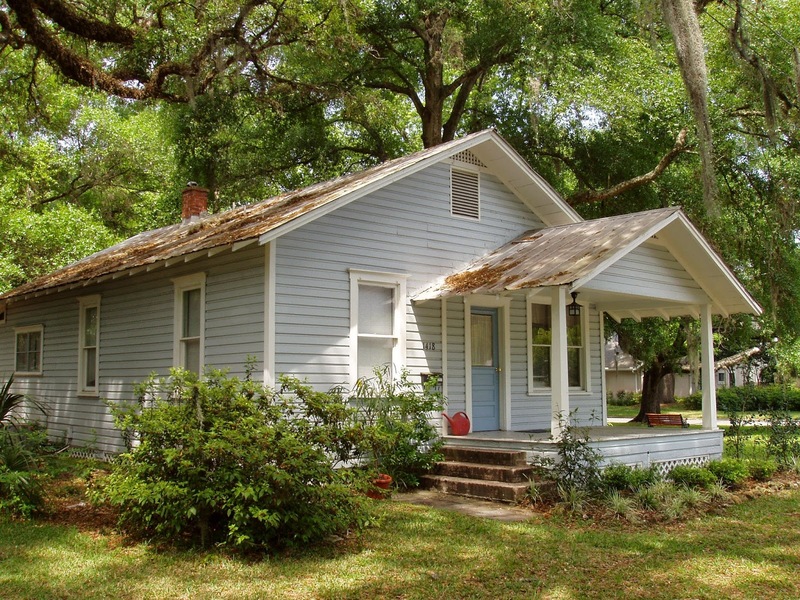 The Kerouac House in Orlando’s quaint College Park neighborhood, where Jack Kerouac wrote The Dharma Bums and lived for a time after the publication of On the Road, was registered as a national historic landmark. On the small lawn outside the wood frame home with the tin roof now stands a beautiful black marker telling the world the artistic and literary significance of the house. But no special marker or national symbol will ever truly tell how significant this home was for me. The phone call came quite unexpectedly. I was having deep-dish pizza with a friend at one of Chicago’s classic pizza places when my phone rang. The number on the screen was not familiar, a strange area code. I let it go to voicemail. I ate my pizza, drank a second beer, and when my friend went to the restroom, I curiously checked the message. I had completely forgotten about my application for the residency. It has been several months since I sent it in along with a sample of my writing, a story about a chance encounter with Mohammad Ali at Chicago’s O’Hare Airport, a personal story about my father’s love for boxing and his influence on my two sons, a story that would eventually become part of my memoir, Any Road Will Take You There, the book I would write at the Kerouac House. It would be months before I would pack up my hatchback and drive 1160 miles in two days to the old house in a neighborhood of live oak and orange trees, and would settle in for a 2-month stay to finish my memoir. But during that waiting time, I thought more realistically about what had happened: I had been accepted as a writer to work rent free and a small stipend in the same spaces as Kerouac, the same small room where a New York Times reporter and photographer captured Kerouac at work after he had gained notoriety after On the Road. I was a very lucky man, unexpectedly lucky. When I applied, I really had no idea what a writer’s residency was all about. It just seemed so utterly cool to be able to push all other responsibilities aside and focus only on writing. This is what a writer’s residency asks, even demands of you. Since I am an associate professor at a Chicago college, I could make the time in the summer to get away, plus I was ready to polish my manuscript, so the stars were aligned. But still, the idea of being a writer-in-residence was foreign to me. Could I really settle in to this place and do good work? Two weeks after moving in I had my answer. One quiet early morning I made coffee on the stove the way I had been doing every morning since arriving at the Kerouac House, and then I headed into the backroom where he slept and wrote to begin my day’s work. I was still feeling a bit out of place. But that morning, I asked out loud if Jack would help me, if his presence, his ghost, might spur me on or encourage me enough so that I would be certain I was on the right track and at the right place. Now, I don’t necessarily believe in ghosts, but I’m also not ready to dismiss them idea either, especially after reading an entry in house’s guest notebook. Inside the nicely bound journal were the comments, notes, and observations of many other writers who had been privileged to spend time at the house. Somewhere in the middle was a young poet’s description of lying in bed at night during a thundery Florida storm and hearing the branches of the giant oak tree next to the house scrape across the tin roof, as if “Jack were scribbling out words with his pencil.” There was no storm in the area that early morning. The winds and the skies were peaceful. But the image of Jack’s ghost somewhere nearby had stayed with me. And when I asked him that morning to “give me a sign” I truly believe he did. It came as a sensation, a moment of cool air touching my face, the feeling of someone standing next to me, a presence in the room. Now I’m not saying it was Jack, but I’m also not saying it wasn’t. No matter, what I experienced was real, visceral, and honest. And it solidified my belief, albeit tenuous, that I was deserving of being the writer-in-residence at the Kerouac House. And you are too. If you’re a writer can afford to get away or adjust your schedule to make the time, applying for a residency in any of the many venues across America and worldwide is more than worth the try. You can find a list of the most current in publications like Poets and Writers, or simply do a Google search. Many include free lodging for the accepted applicant, others will cost you some, but either way the experience is a dream and simply cannot be duplicated by just giving yourself some alone time at home or a few hours the local coffee shop. And don’t be intimidated. Residencies do not discriminate. You don’t have to be a writer with a book on the New York Times list of bestsellers. In fact, many of the residencies would rather have new and emerging writers. I had one book published by a small publisher at the time of my residency. Good writing, available time, and a willingness to commit to your art are far more important to those making the decisions about who will be a writer-in-residence than a list of accomplishments. I wholly cherished my time at the Kerouac House. It was one of the most memorable times of my writing life. And there are mornings now when I awake from a dream, thinking about the scratching of Jack’s pencil on the roof of that perfect little Florida house. Thanks for reading! Please feel free to leave questions/comments for David below. Read on to learn more about him and his latest work, Any Road Will Take You There: A Journey of Fathers and Sons. 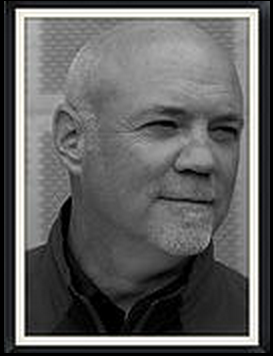 David W. Berner, the award winning author of ACCIDENTAL LESSONS and ANY ROAD WILL TAKE YOU THERE, was born in Pittsburgh, Pennsylvania where he began his work as a broadcast journalist and writer. He moved to Chicago to work as a radio reporter and news anchor for CBS Radio and later pursue a career as a writer and educator. His book ACCIDENTAL LESSONS is about his year teaching in one of the Chicago area's most troubled school districts. The book won the Golden Dragonfly Grand Prize for Literature and has been called a "beautiful, elegantly written book" by award-winning author Thomas E. Kennedy, and "a terrific memoir" by Rick Kogan (Chicago Tribune and WGN Radio). ANY ROAD WILL TAKE YOU THERE is the author's story of a 5000-mile road trip with his sons and the revelations of fatherhood. The memoir has been called "heartwarming and heartbreaking" and "a five-star wonderful read." In the tradition of the Great American Memoir, a middle-age father takes the reader on a five-thousand-mile road trip -- the one he always wished he'd taken as a young man. Recently divorced and uncertain of the future, he rereads the iconic road story -- Jack Kerouac's On the Road -- and along with his two sons and his best friend, heads for the highway to rekindle his spirit. 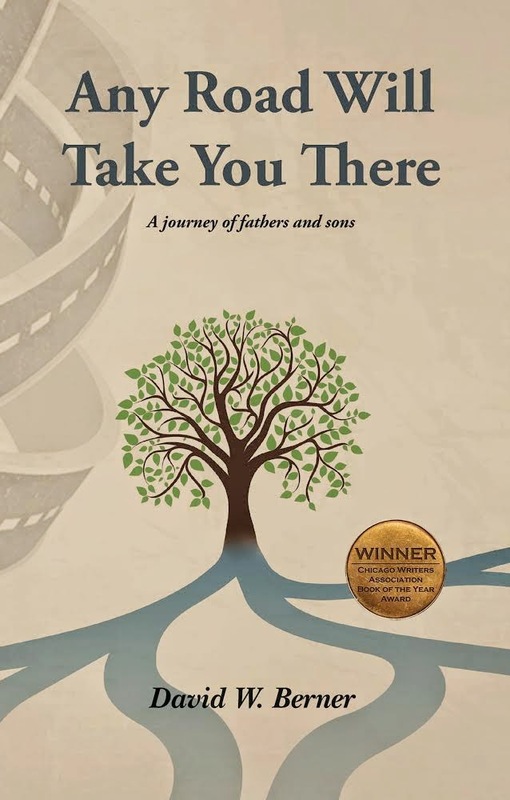 Any Road Will Take You There: A Journey of Fathers and Sons is available as an e-book and paperback at Amazon.